Heavy-duty Used Truck Parts Ontario | Home | Nobleton Truck Centre Ltd.
Worldwide shipping and exporting of heavy-duty used truck parts. Heavy-duty Truck Parts in Ontario: Nobleton Truck Centre Ltd.
Nobleton Truck Centre Ltd. in Ontario deals in heavy-duty truck parts. We buy and sell used medium- and heavy-duty truck parts and also ship them across the globe. We offer a broad range of parts for all North American built trucks including diesel engines, transmissions, differentials and more. We’re locally owned and operated by our family for generations and offer honest and reliable services. Our services also include the sales of truck parts manufactured in North America from many leading brands. It doesn’t matter if you want individual parts such as truck bodies, doors or hoods to assemble on your own, or you need a used truck altogether, you can find it all at Nobleton Truck Centre Ltd.
Used Truck Parts. Worldwide Shipping! We have a large inventory of parts ready to ship anywhere worldwide! You can count on us to supply you with just a few parts or large shipments. Learn more about our worldwide export service. We pay top dollar for large trucks - contact us now if you have one to sell! We export medium and heavy-duty used truck parts worldwide. 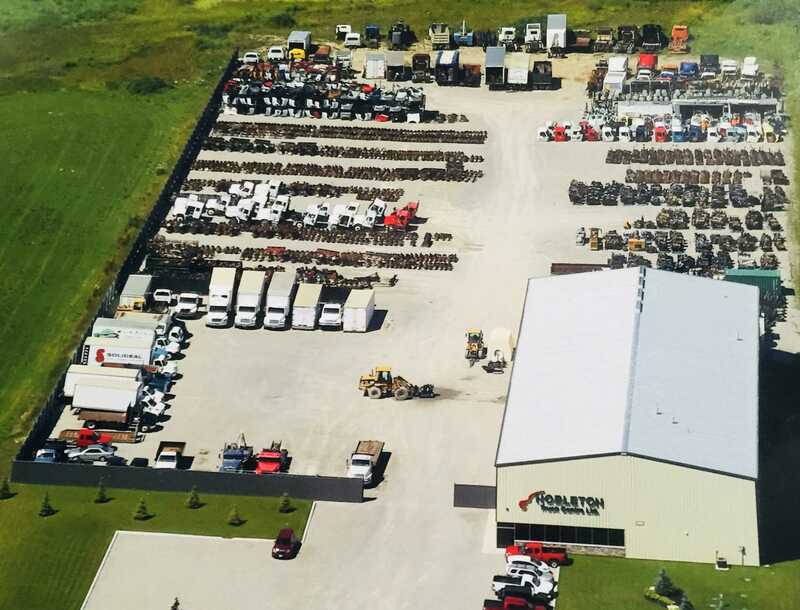 Nobleton Truck Centre Ltd. buys and sells used truck parts.